This article is about the guest star. For the character, see Oscar De La Hoya (character). 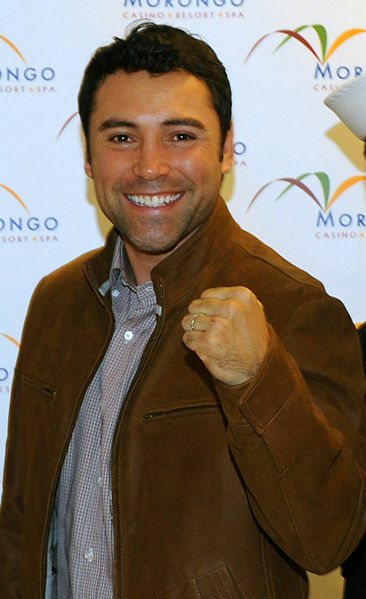 Oscar De La Hoya (born February 4, 1973) is a Mexican-American former boxer. He voiced himself in the season 15 episode "Treehouse of Horror XIV".